After eight years in the minority, Democrats were on the cusp of capturing the House Tuesday night, riding a blue Resistance and suburban revolt against President Trump. Given their first opportunity to weigh in on the Republican-controlled government since Trump took office, voters across the country were ready to deliver a gut-check to the president, sending a wave of Democrats to Washington. A record number of women and minorities ran for Congress, new grassroots groups sprouted up on the left, Democrats shattered fundraising records, and turnout rivaled presidential election years. The first two years of Trump’s presidency — including indictments of four former high-level Trump campaign aides and the president’s lawyer in the Russia investigation, a white supremacist rally in Virginia, rapid turnover of Cabinet members, the Parkland, Fla., school shooting, and the brutal confirmation fight over Supreme Court Justice Brett Kavanaugh — were set to culminate Tuesday. Republicans were still favored to keep the Senate. In a last-ditch play to his base, Trump ordered the deployment of 5,000 active-duty troops the border, stoked fear about a migrant caravan hundreds of miles away, and tweeted a controversial ad that Fox News, CNN, and NBC refused to air. But on the ground, Democrats in toss-up races across the country remained focused on healthcare, Social Security, and promises to provide a check on the president. Unable to run on repealing the Affordable Care Act for the first time in years, Republicans scrambled to label themselves supporters of protections for pre-existing conditions. Overcoming gerrymandered districts and voter suppression efforts, Democrats unabashedly ran on expanding Medicare beyond senior citizens and adding a government “public option” to Obamacare, as well as expanding Social Security, raising the minimum wage, and making commitments to reject money from corporate political action committees. While consistently hitting Republican incumbents on their votes to repeal the Affordable Care Act and weaken pre-existing conditions, many Democratic candidates provided a message that they could restore “decency” and find “commonalities” with Republicans if elected, mending the divisive environment fostered by the president. If they retake the speaker’s gavel, Democrats are expected to launch investigations into Trump’s financial dealings, go after his tax returns, and hold hearings on everything from the administration’s response to Hurricane Maria in Puerto Rico to security clearances issued. Subpoenas will rain down on Trump and his Cabinet. There are 64 outstanding subpoena requests from Democrats on the House Oversight Committee alone. But Democrats are adamant that impeachment is not on the table — at least not yet. Even those newly elected Tuesday night have said they aren’t interested in obstructing Trump or impeaching him. Democrats will have to keep the energy within their base alive for the next two years but also maintain their majority in 2020, which includes districts that could easily swing back to the GOP. Democrats will have to deliver quick results to set the stage for 2020. Before polls closed on Tuesday, the House Progressive Caucus pushed out data on the policy positions that proved effective for Democratic candidates. If Democrats want to keep their majority and win the White House in 2020, they have to put bills on the floor that “react directly to what the electorate told us,” said Rep. Mark Pocan, D-Wis., co-chair of the Progressive Caucus. Democrats want to pursue a trillion-dollar infrastructure package, shore up protections for people with pre-existing conditions, and push a slate of anti-corruption and campaign finance reform bills through. 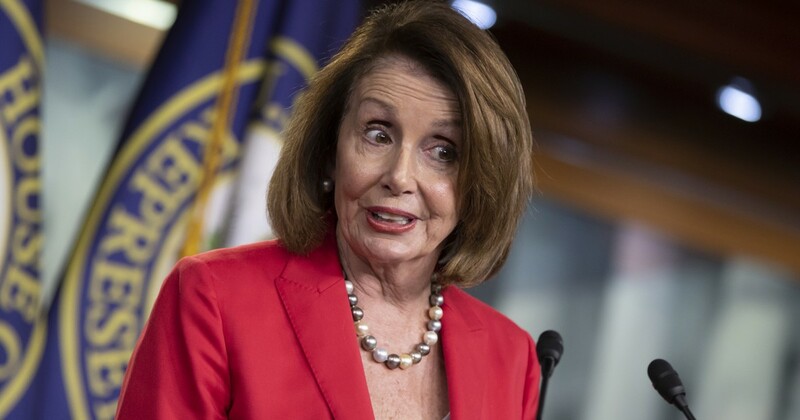 Though there is some division among the caucus about who should lead that debate, it’s widely expected that Nancy Pelosi will be the next speaker. Pelosi became the first female speaker of the House when Democrats last captured control of the House in 2006. She’s set on leading the caucus for a second time, though more recently she’s admitted her tenure will be a “transitional” one. A growing number of members have called for a change in leadership and the incoming class could further weaken her grip on the caucus. Tuesday’s results will dramatically change the makeup of Congress and as younger, diverse members come to Washington, some members speculate the ability of the three septuagenarians to lead the caucus will become less tenable. Out of the 92 seats the Democratic Congressional Campaign Committee targeted this cycle, 48 candidates were women, 27 were under the age of 40, 21 were considered “diverse,” 19 were veterans, and six were LGBTQ.